I’ve slipped on this blog anyways. 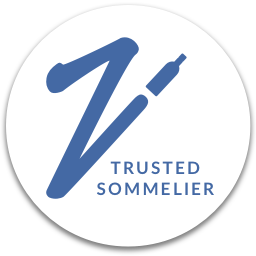 If you've missed me, I invite you over to SommsTable.com, where I have been more consistent. I've also continued to contribute regularly to the 8 & 20 series on WineSpectator.com, but have fallen short in sharing those here. 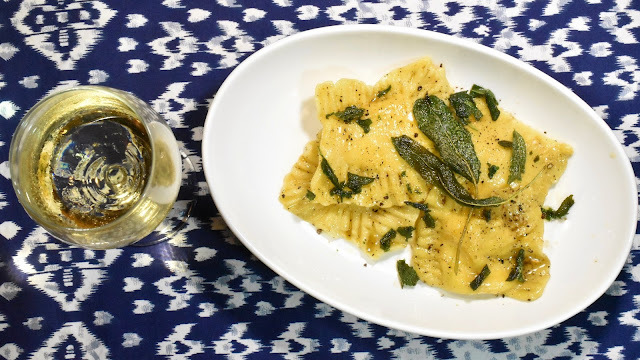 Today, I’m getting back up on the horse by sharing my most recent contribution: Butternut Squash Ravioli with Crispy Sage and Brown Butter. Greg and I recently came from a trip to Italy. 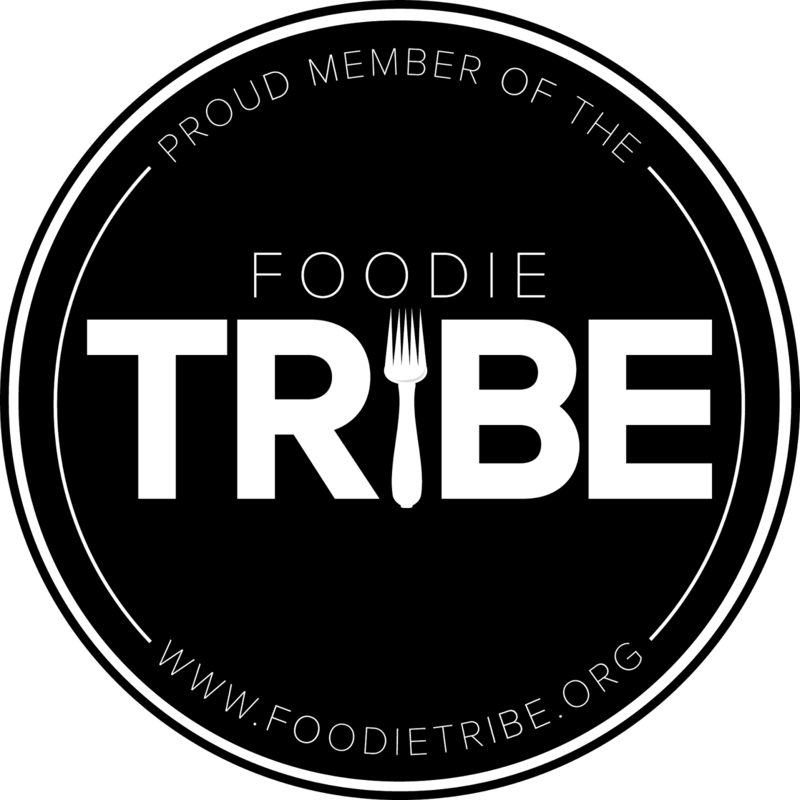 (I’ve been slowly making my way through sharing that journey on Instagram and was sooooooo inspired by the food–-but then again who isn’t?! Such seemingly simple food that delivers so much pleasure! When I got back, I was moved to try making a pasta in that spirit, and this pasta is the result. 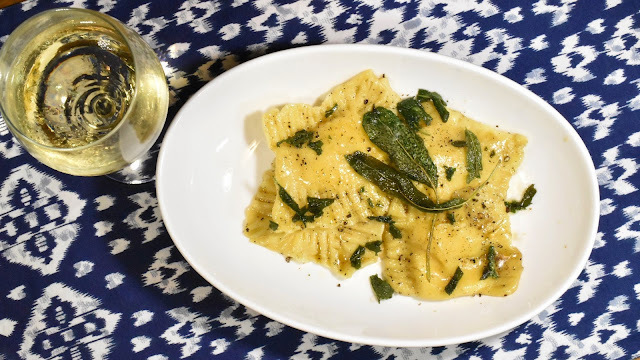 My ravioli were perfect not perfect in the way of the extremely practiced hands making pasta in Italy, but they did 100% deliver comfort food satisfaction. Photo credit on this one and the one at the top to Greg Hudson. They paired perfectly with Decoy Chardonnay Sonoma County 2016, or alternately with the La Crema Pinot Gris Monterey 2016. See the article for more on how these wines worked with the food. 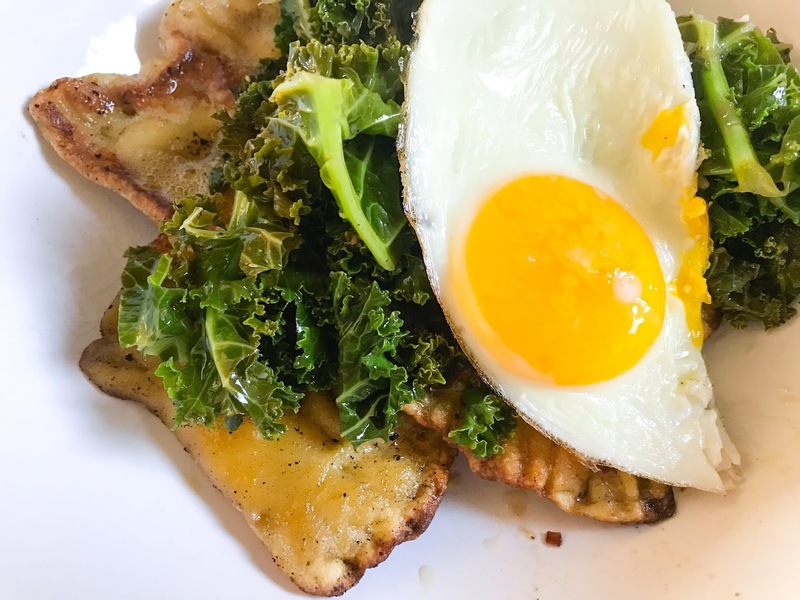 Pan fried ravioli with sautéed kale and a fried egg. As ever, I love a leftover makeover; moreover, I really didn’t think the ravioli would be as good simply reheated. Instead I decided to pan fry them to give them an extra dimension of crispness. Meanwhile, I sautéed some chopped up kale with some garlic, the leftover crispy sage, a little olive oil, and any brown butter sauce you might have leftover. Cook just until the kale is cooked through. Finally, to just gild the lily a little bit, I fried an egg in the leftover olive oil. 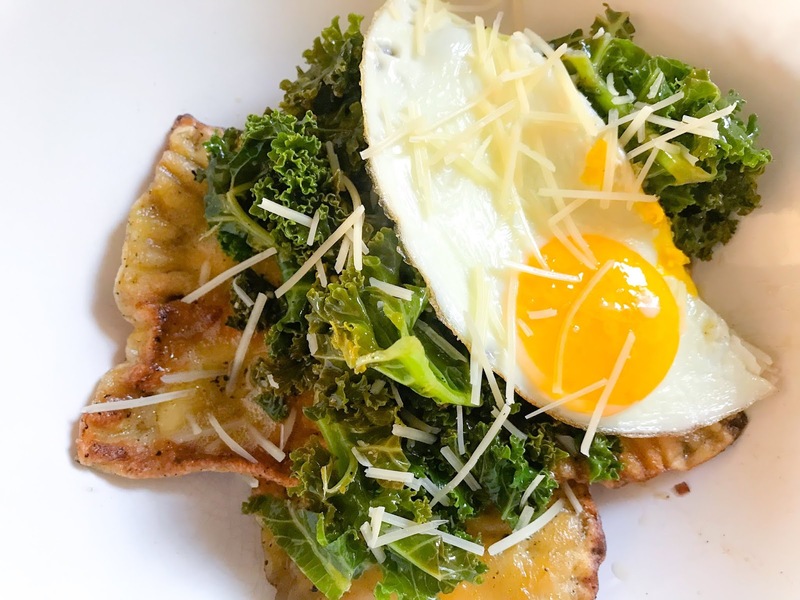 I served all of those together with the ravioli as the base layer, followed by the kale, then that beautiful, sunny egg on top, with a final flourish of Parmesan sprinkled over the whole thing. Yum!